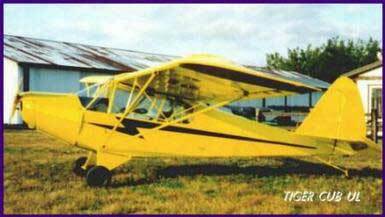 The ultralight Tiger Cub looks a lot like the original Piper J3 Cub. 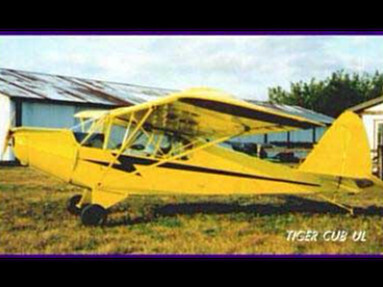 Being smaller and lighter the Tiger Cub is classified as an ultralight aircraft. The Tiger Cub UL has full 3-axis control, flaperons, and steerable tail wheel, foldable wings and tail. 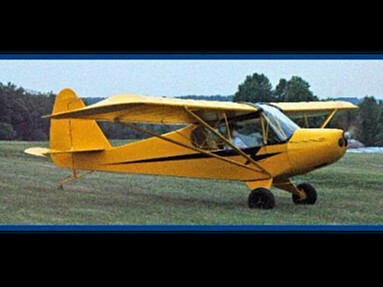 Built for the flying enthusiasts this Cub only requires regular tools and a single garage to store it in. The Tiger Cub is for sale as an kit, quick build kit or as ready to fly aircraft. The Tiger Cub UL can also be built from plans making it very economical to build! The Tiger Cub UL has, classic lines and a wide enough cowl to keep the exhaust inside, (no unsightly two stroke exhaust hanging out) a folding wing and tail, fully enclosed cockpit (large enough to accommodate a 6'6"-250 lb. pilot in comfort) full three axis controls with flaperons and a steerable tail wheel, a wide speed range and rugged landing gear (standard design features). Wide main gear and a large rudder make ground handling exceptional (for a tail dragger). The ailerons have a 2.7 to 1 differential throw ( the one going up travels 2.7 times further than the one going down), this virtually eliminates adverse yaw, making the plane easy to keep coordinated in flight. Control surfaces are large, giving good control response clear down thru stall, the controls feel light and positive throughout the flight envelope. The plane doesn't have any bad habits and stubbornly resists a stall. In fact you have to force it to stall, then the nose drops and the plane recovers by it's self, even with full back stick! It's a very pleasant and forgiving plane to fly. With a 447 Rotax engine a 170 pound pilot needs about 150 ft. of hard surface runway to get airborne, and will climb out at 800 ft per min. Landing roll out is under 300 ft, even with out brakes! Standard shop tools and a single car garage are all that's required. The Tiger Cub UL can be built to fit your budget. We offer plans, parts packages, basic kits, quick build kits or (built to order) ready to fly airplanes. 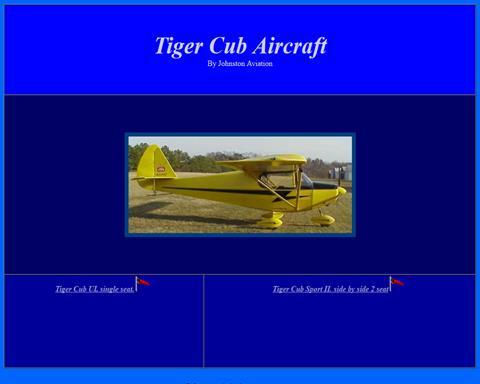 A website for Johnston Aviation, manufacturer of the Tiger Cub light sport airplanes and experimental airplanes, includes product information, specs, and price options. "Standard shop tools and a single car garage are all that's required"